Whimsy Wood Blog There is no App to replace your lap! Read to your Child! 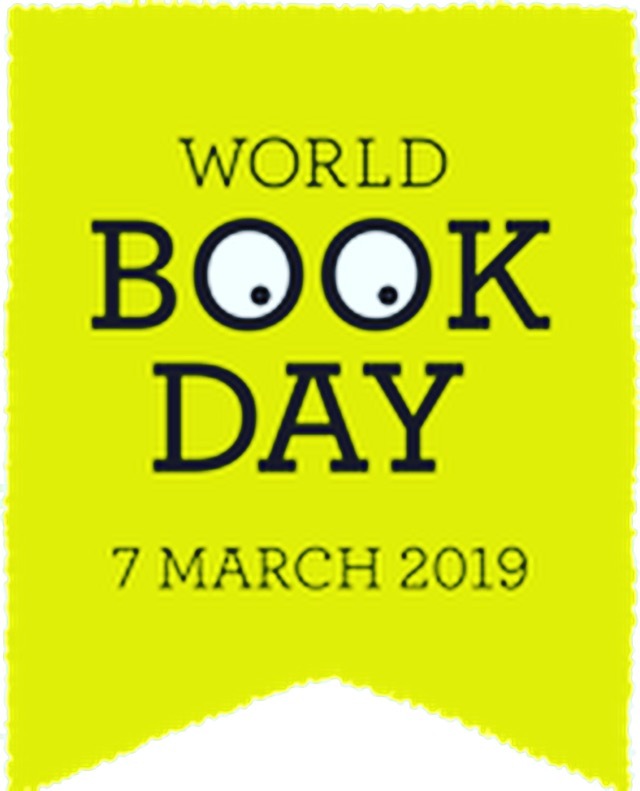 3 Whimsy Wood Author Visits For World Book Day 2019! I’m absolutely thrilled to confirm that I have indeed been invited to visit 3 primary schools with my Whimsy Wood books during World Book Week 2019! The first of these full-day author visits is to Westlands Community Primary School in Essex on Friday March the 1st. 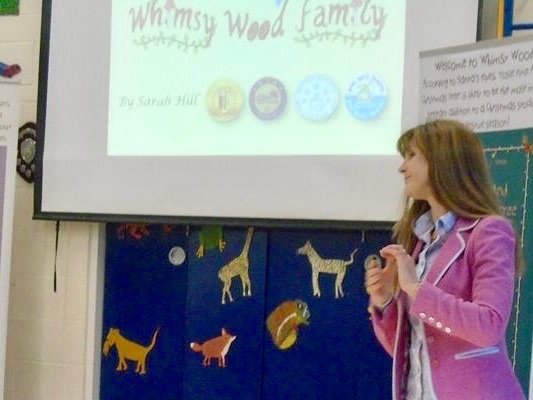 Second up is Drove Primary School in Swindon on Monday March the 4th and last but not least is my Whimsy Wood visit to Cherhill Primary School in Wiltshire on Wednesday March the 6th. 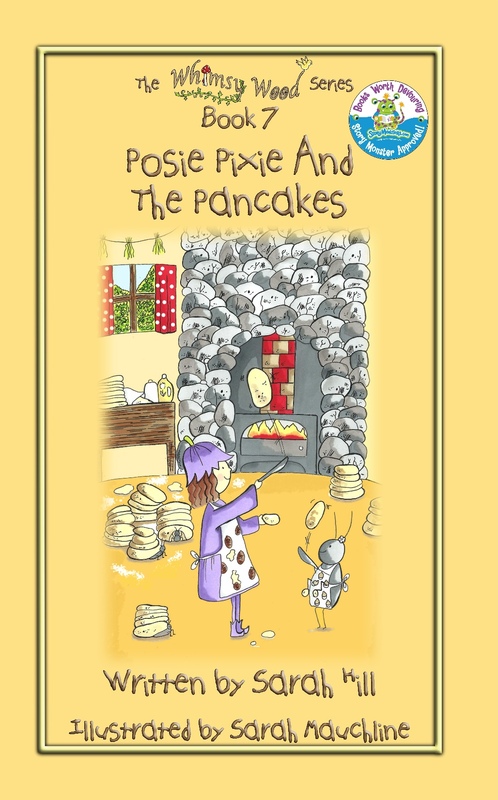 During these exciting school visits, as part of World Book Week, I will be running creative writing and woodland craft workshops, leading assemblies, taking Q&A sessions, signing copies of my Whimsy Wood children’s books and reading book 7, ‘Posie Pixie And The Pancakes’. I can’t wait to meet and work with all the children and staff at these primary schools when I visit them in March! There’s plenty of planning and preparation to be done for these visits before then, which will definitely keep me out of mischief! Wishing you all a wonderfully whimsical weekend! Hip Hip Hooray! It’s National Poetry Day! Your poetry stretches line by line. I think you’ll find they’re rather fine. Of fish, of flesh, of fissions. You’ll find that you’re in luck. That just fell off the truck! I also have a poem of my own that I’d like to share with you on this lyrical day. This poem features in my third ‘Whimsy Wood’ children’s book, titled ‘Posie Pixie And The Torn Tunic’. This particular whimsical story is written for the marvellous month of October and is about Posie Pixie’s love of blackberries! I could eat you all the time. Or hot with custard. Oh what a dream! Then spread you on everything, even ham! All bumpy and shiny and purpley-blue. For an extract from this third Whimsy Wood book, or for more information about the Whimsy Wood children’s series, then please visit the ‘Book’ section on this website. 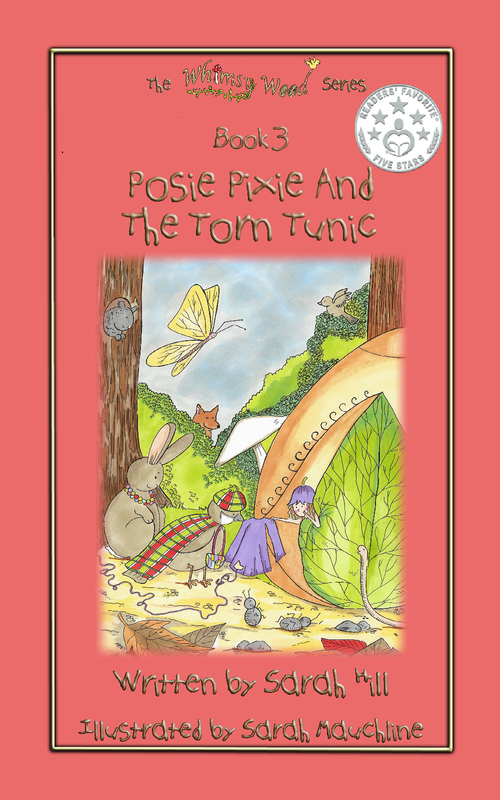 ‘Posie Pixie And The Torn Tunic’ is available from all good online and high street book retailers. Thank you. 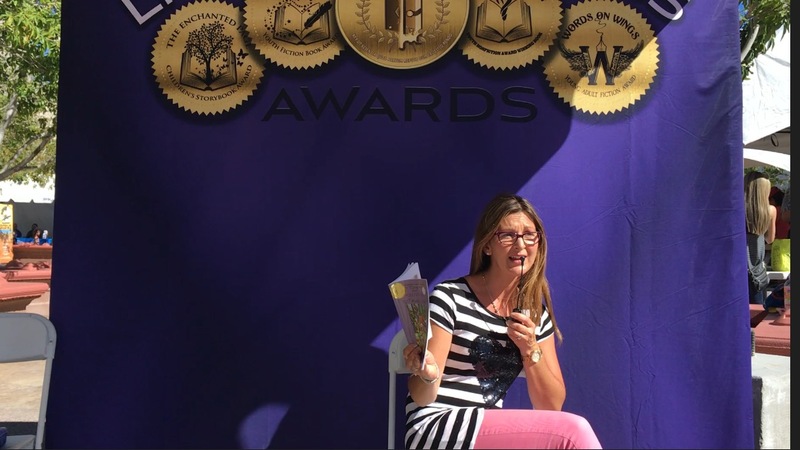 Sarah Hill, children’s author and creator of the Whimsy Wood series. After An Inspiring Author Visit Packed To The Rafters With Whimsical Fun? You are? Oh goody! 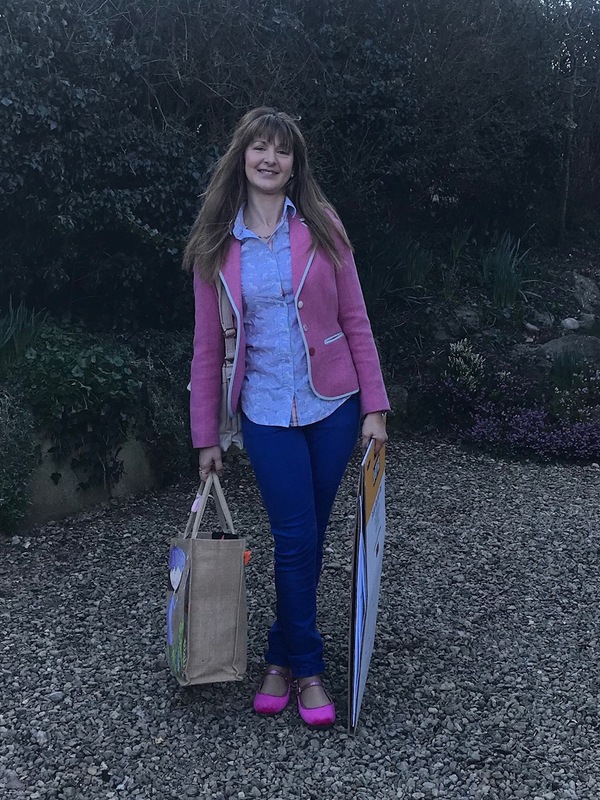 Then you’ve come to the right place because Whimsy Wood’s award-winning children’s author, Sarah Hill, is just the pocket-sized person for your school, library or nursery visit! 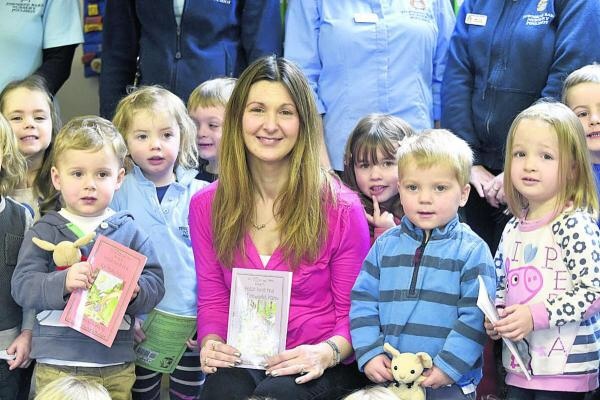 Sarah is regularly invited to visit primary schools, nurseries and libraries across the UK. She is very flexible and will work out a plan for her visit to that particular establishment, depending on what has been asked of her. 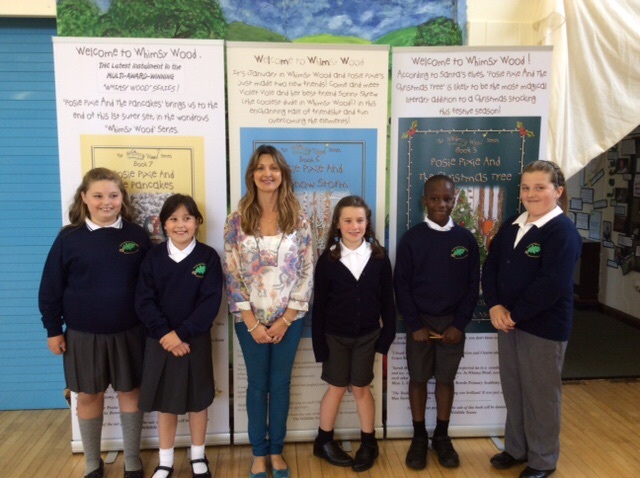 Sarah will happily lead an assembly, run woodland-related literacy activities with each of the KS1 classes and creative writing workshops with the KS2 pupils. 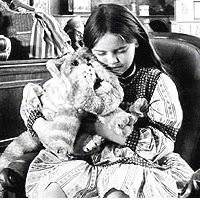 If you would just like her to read the latest ‘Whimsy Wood’ book to your nursery children or KS1 children, then again she is happy to do that. Alternatively, you may prefer to arrange a Skype call with Sarah, as various schools overseas have done in the past. Well, that’s all from me for now, so I shall bid you farewell and wish you a wonderfully whimsical weekend! A few weeks ago, my mum kindly pulled out an article in The Times newspaper and popped it in the post to me, knowing that I would love to read it. Now, I confess, that with the end of my three children’s summer term rapidly approaching when this article arrived in the post, I plonked it on the side in our kitchen along with all the other ‘must do’ things. Yesterday I finally managed to grab five minutes peace to myself and read this article about the truly wonderful and inspiring Peter Firmin. It was just a month ago that this wonderful man and creative genius very sadly passed away. 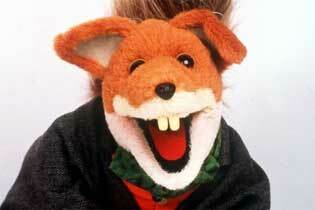 He was an incredible artist, puppet maker and animator, probably best known for his involvement with ‘Bagpuss’, ‘The Clangers’, ‘Ivor the Engine’, ‘Basil Brush’ (my favourite!) and ‘Noggin the Nog’. All these fantastic programmes I watched and loved as a child. I had no idea then that these puppets were originally made from discarded rubbish such as yoghurt pots, pipe cleaners and pegs! 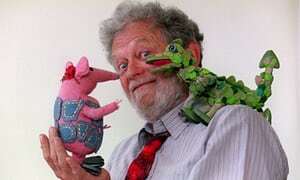 The quirky pink skin of the Clangers at the time was actually knitted by Peter Firmin’s wife Joan! 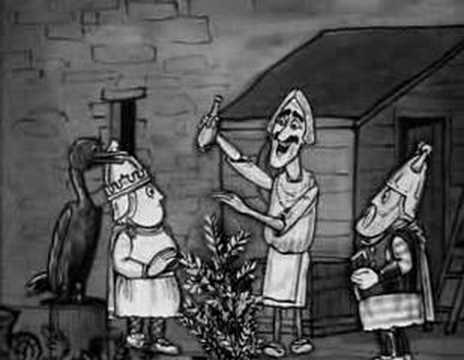 The enchanting programmes themselves were made in a disused cowshed in Peter Firmin’s backyard under Smallfilms production company, which was formed by Oliver Postgate and Peter Firmin. 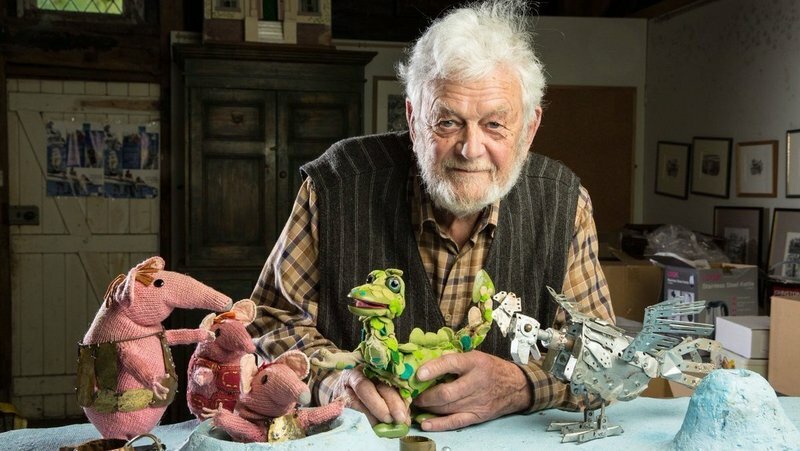 Oliver Postgate was the phenomenal ‘writing part’ of this hugely successful duo and their production company was active from 1958 to the late 1980s. 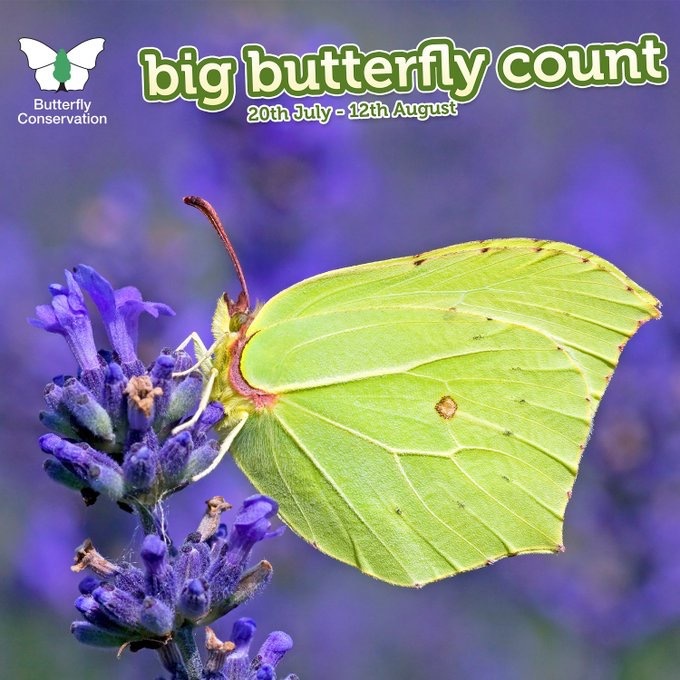 The Big Butterfly Count And A Wonderful Whimsy Wood Review! “….I loved the way this book is written. Hill’s use of alliteration gives the story a rhythm and makes it immediately engaging to the reader. The use of this technique within the character’s names makes them easy for children to remember. Brilliantly written for young readers, I can imagine that any child would be easily captivated by the story. As you can imagine I was absolutely delighted to receive such a fantastic review! Thank you very much Abbie at ‘Bloomin Brilliant Books’! On that cheery note I shall bid you farewell and wish you a wonderfully whimsical weekend! 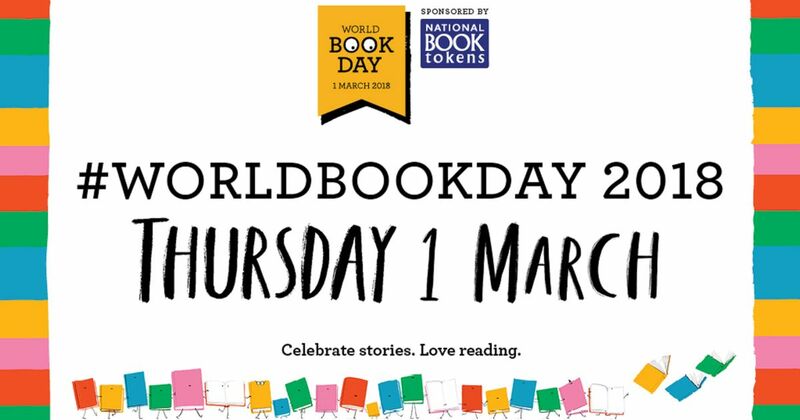 Last week was World Book Week and with it came the 21st World Book Day on Thursday March the 1st 2018, along with freezing cold temperatures and heavy snow fall across the U.K.! My adorable Whimsy Wood Family characters and I were fortunate to be invited to severally primary schools across England, to lead their assemblies, run woodland-related literacy activities for their KS1 children, give creative writing workshops to their KS2 children and read one of the Whimsy Wood stories to their pupils. Luckily, our author visits were completed by Thursday afternoon, before the snow drifts arrived in the south west of England where I live. The site of those beautiful snowflakes falling, creating a magical white wonderland was a joy to behold! The snow has now melted away, leaving behind delicate snowdrops and budding daffodils as a sure sign of spring. 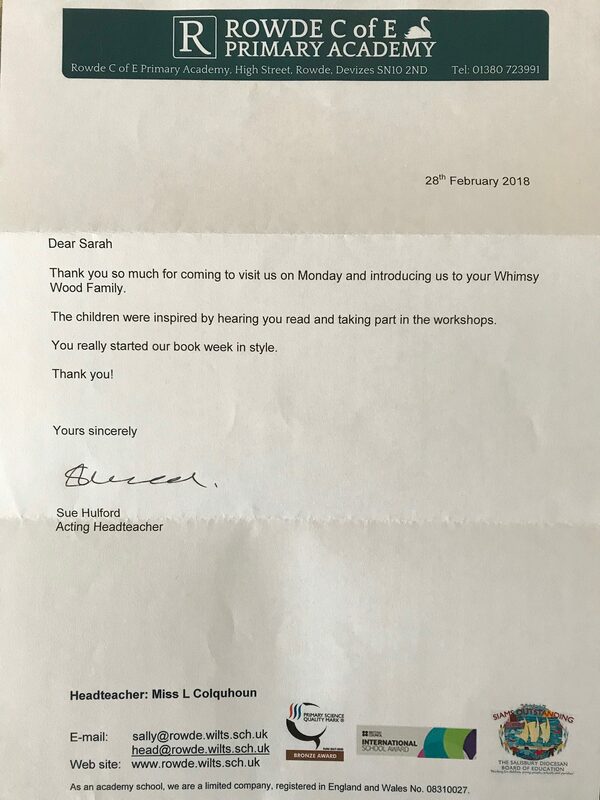 The post has even been able to arrive today and with it came a really lovely letter from a headmistress of one of the schools I visited last week. I really am very fortunate to be invited into primary schools throughout the year with my Whimsy Wood Family children’s books and if you would like to know more about the wonderfully whimsical creative writing workshops that I run or book me, then please feel free to contact me here and browse this website for further information. Thank you. Wishing you all a wonderfully whimsical week! 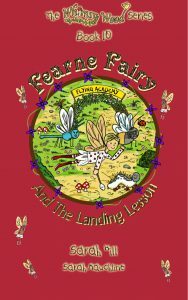 Wonderful Reviews For ‘Fearne Fairy And The Landing Lesson’! Well it’s certainly been a wonderfully whimsical week in the world of ‘Whimsy Wood’! 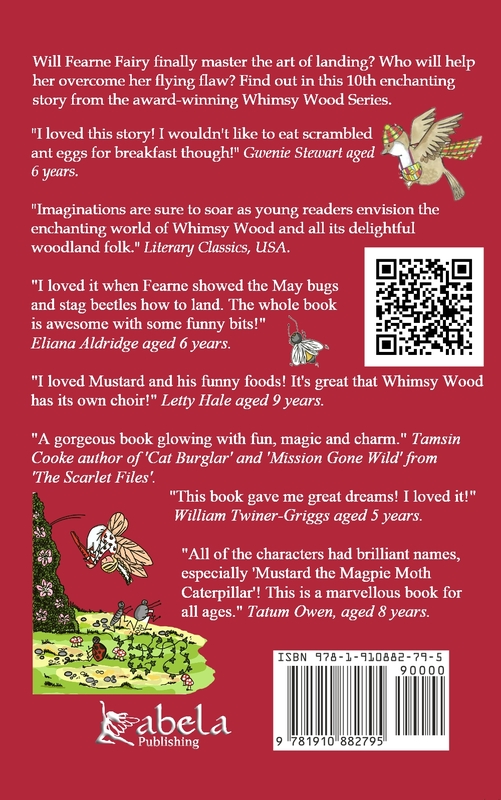 This is because a number of wonderful reviews have arrived in my inbox for a few of my ‘Whimsy Wood’ children’s books, which is just marvellous! 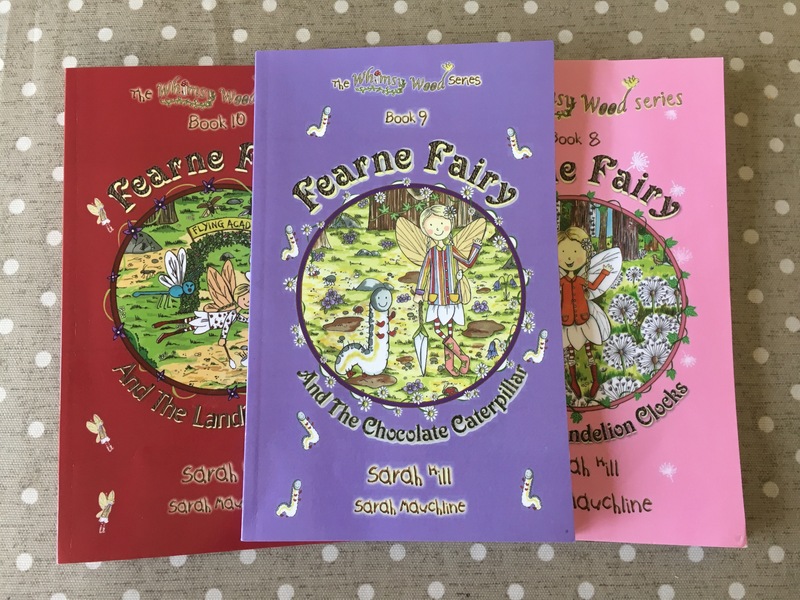 In particular, there have been two charming reviews for ‘Fearne Fairy And The Landing Lesson’, book 10 in my ‘Whimsy Wood’ children’s series, that have really brightened up my week! ‘….my son really enjoys these books and all of the wildlife in them. We spend ages pouring over the pictures as he points out different animals and insects. He giggles at the mishaps and now really wants to learn to fly. My only saving grace currently is the season, the lack of available dragonflies to train him is upsetting but understandable. Hopefully he’ll have forgotten by spring, that’s unlikely though isn’t it. The fabulous front cover of ‘Fearne Fairy And The Landing Lesson’, the 10th ‘Whimsy Wood’ book! 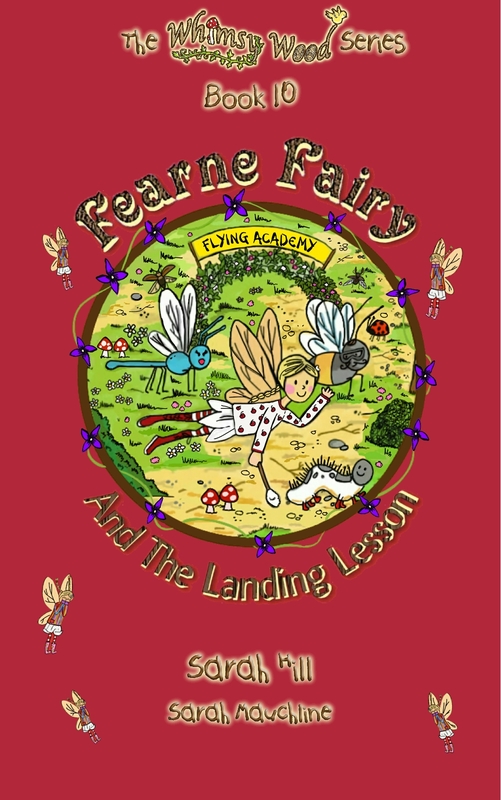 The back cover of ‘Fearne Fairy And The Landing Lesson’! Children’s author and creator of The Whimsy Wood Series. Whimsy Wood Visit To Bishops Cannings Preschool And A Library Event! 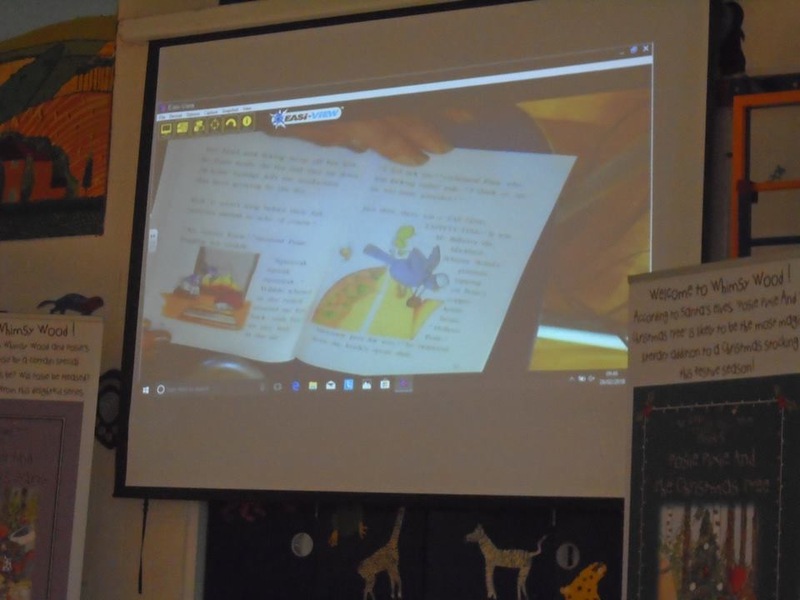 Last week I was invited to Bishops Cannings Preschool to read a Whimsy Wood story to their children. I was also asked to judge their Whimsy Wood colouring-in competition! 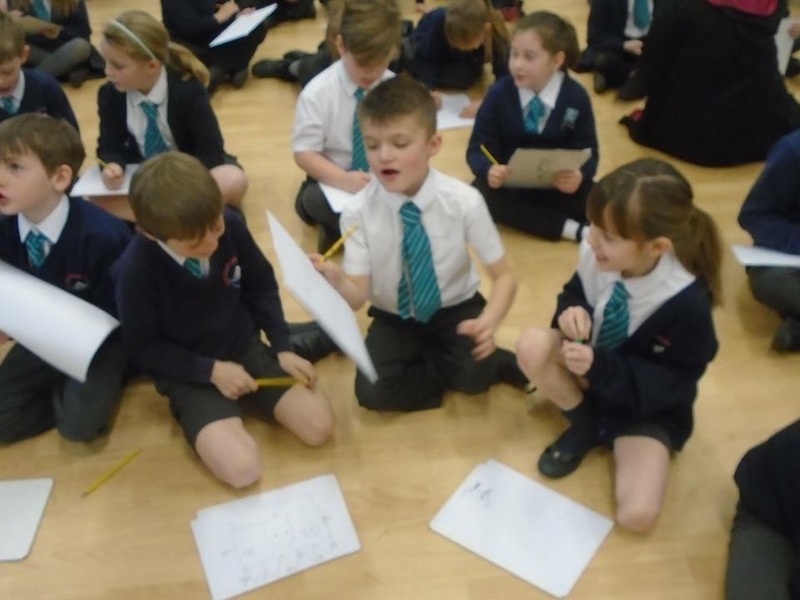 This competition had been run across the pre-school and main primary school. The story I read to the lovely little children was the most recent Whimsy Wood book, ‘Fearne Fairy And The Landing Lesson’, which they absolutely loved! There was much giggling at all the charming characters’ voices that appear in this 10th whimsical book. Once I’d finished reading to the children and answered all their brilliant questions, I looked at the huge array of fabulous Whimsy Wood colouring-in entries. Goodness! There were so many and such a lot of effort had been put into every one! It was jolly tricky to decide on the winners but I managed in the end and I’d like to congratulate all the children who entered and send a ginormous Whimsy Wood round-of-applause to the winners! I do hope you enjoy your signed copies of the Whimsy Wood books and other whimsical goodies that you’ve received for being wonderful winners! As you can see from the image below, this year’s Summer Reading Challenge, organised by The Reading Agency and libraries across the country, has started! 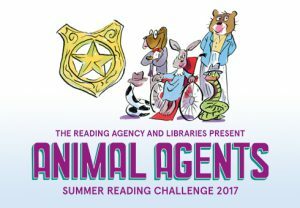 There is an animal theme this year and I’m delighted to say that I’ve been asked to be part of my local library’s reading challenge events! If you’re free on Saturday August the 12th and are in the Melksham area in Wiltshire, do pop along to Melksham library at 2.30pm. I’ll be reading a Whimsy Wood story to all the children (and grown-ups) who come along to this free event then. I’ll look forward to seeing you! Well that’s all from me for now, so I shall wish you all a wonderfully whimsical summer holiday and I’ll go and get creative elsewhere! 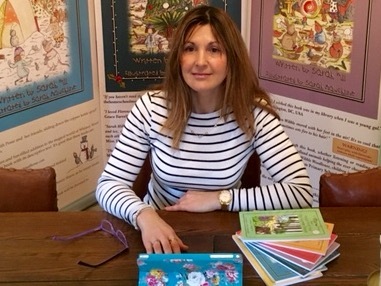 Sarah Hill, children’s author and creator of the Whimsy Wood children’s books. Well, the jolly month of June is almost at an end and what a terrific time it’s been in Whimsy Wood! 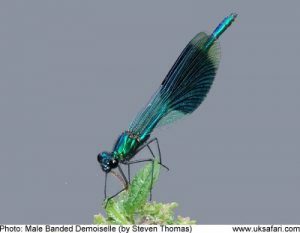 ‘Dizzy Damselfly’ has thoroughly enjoyed her summer holiday along the banks of Snapdragon Stream this month. She met ‘Bristle Bumblee’ and ‘Dewberry Dragonfly’ while fluttering about the golden ragwort flowers that grow on the sandy banks. They kindly showed Dizzy their ‘Flying Academy’ which they had set up last year. The academy is going from strength to strength and the stag beetles and May bugs’ flying skills are rapidly improving under the careful tuition of Bristle and Dewberry! ‘Florence Fox’ has become an Auntie for the first time! 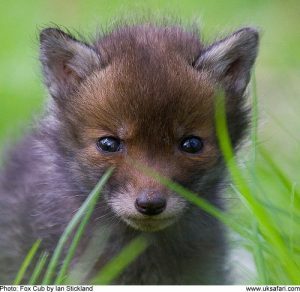 Her sister Flora had a beautiful litter of four furry fox cubs, perfect in every way. Florence can’t beIieve how much work is involved in rearing young ones and is amazed at how her sister manages! The cubs adore their funny Auntie Flo because she’s brilliant at playing rough and tumble games with them! 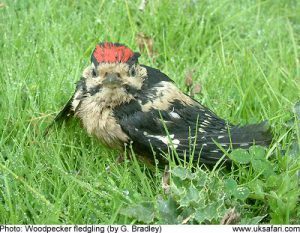 ‘Flora Fox’ is not alone in the wonderful world of motherhood currently, because ‘Mrs Whistle the woodpecker’ is a proud new mummy to little baby Walter. He’s certainly a bruiser of a baby bird as you’ll see from his handsome picture below! He’s certainly keeping Mr and Mrs Whistle busy with his constant demands for fresh earthworms and grubs! 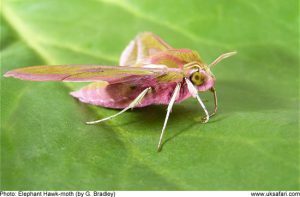 Finally, from little big ones, we go to big little ones since the marvellous month of June has seen the enormous Elephant Hawk-moths flutter about in Whimsy Wood from dusk into the balmy summer evenings. These elegant creatures have loved fluttering about with ‘Fearne Fairy’ and ‘Mustard the Magpie moth’! Sarah Hill, children’s author and creator of the Whimsy Wood Family children’s books and brand new animation TV series. A Whimsical Deadline And A Preschool Visit! Hello there and apologies for my recent absence. I have been a little snowed under with Whimsy Wood Family work for a deadline, which I’m delighted to say that I met with time to spare! Woohoo! The work requested of me was to change all the titles of the 1st 10 Whimsy Wood children’s books that have been published to date. I also needed to add a new character to each of these 10 Whimsy Wood books and adjust their storylines slightly. I can let you know a few of the new Whimsy Wood Family characters; there’s ‘Lettie Ladybird’, ‘Soul Songthrush’ (singing teacher extraordinaire!) 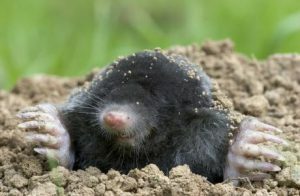 and ‘Mable Mole’ to name but a few! The reason I needed to do this tweaking is because, very excitingly, we have a brand new publisher for the Whimsy Wood books! The books, brand new TV animation series and merchandise will now be under the Whimsy Wood Family brand! All super dooper amazing! Now that my recent flurry of fervent activity is done, I am enioying a little respite and making the most of this glorious weather! 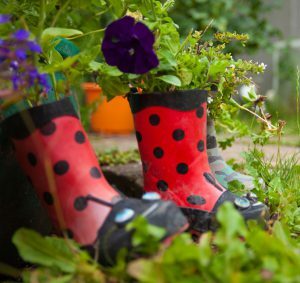 While sitting in my sunny garden, listening to the Wiltshire birds twittering and bumblebees buzzing, I’ll be mulling over a wee preschool visit that I’ve been invited to do. This is next month and to Bishop Cannings Preschool in Wiltshire. Well, I’d better get back to my mullings and sunny snoozings! Wishing you all a wonderfully whimsical week.